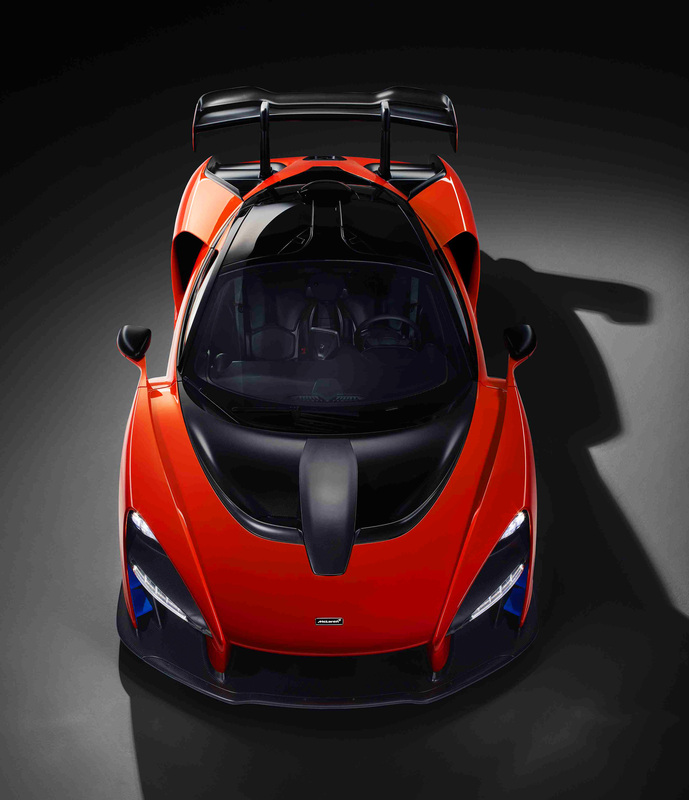 It’s finally here, the latest addition to the McLaren Ultimate Series model lineup. 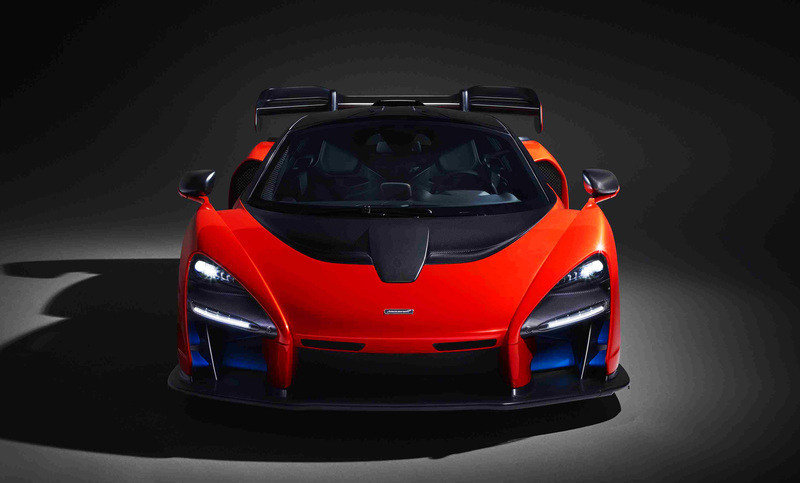 The one that was teased as the most extreme McLaren road car yet, codenamed the P15, has been finally unveiled and this is it – the McLaren Senna. Now, before we begin with the love or hate design aspect and what I make of it, let’s do a quick run through of the insane numbers surrounding this car, one that has taken the risk and honour of bearing the name of a legendary racer, Ayrton Senna. The powerhouse is a 4.0-litre twin-turbo V8 (same as the new 720S) but tinkered and tuned to produce an insane 789bhp and 800Nm of torque. All of that with no help from hybrid tech or any battery or anything, purely an internal combustion affair. 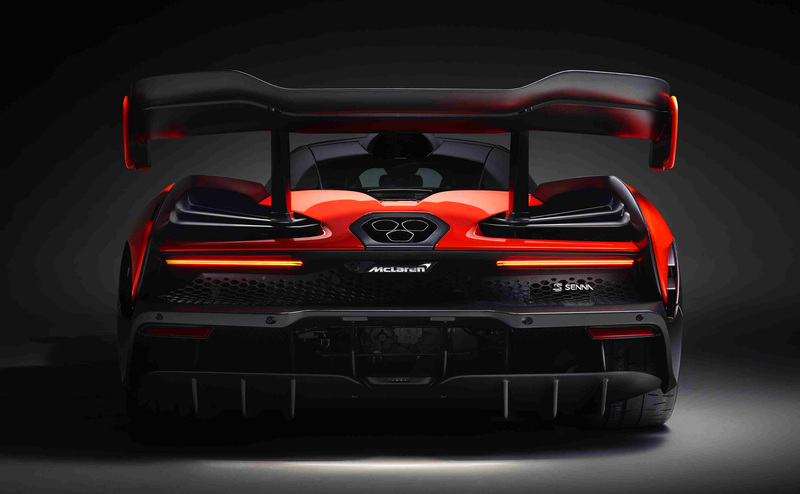 What makes that power output even more savage is that the car has a dry weight of 1,198kg which translates into a power-to-weight ratio of 659bhp-per-tonne. It features the RaceActive Chassis Control II, a double-wishbone suspension that features hydraulically interconnected dampers. 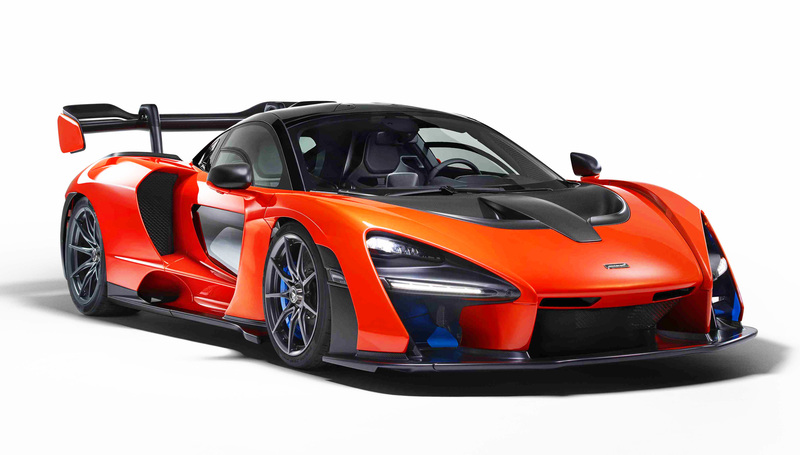 The conventional anti-roll bar is replaced by hydraulic components, a further development of the variable stiffness and ride-height tech that debuted on the McLaren P1. 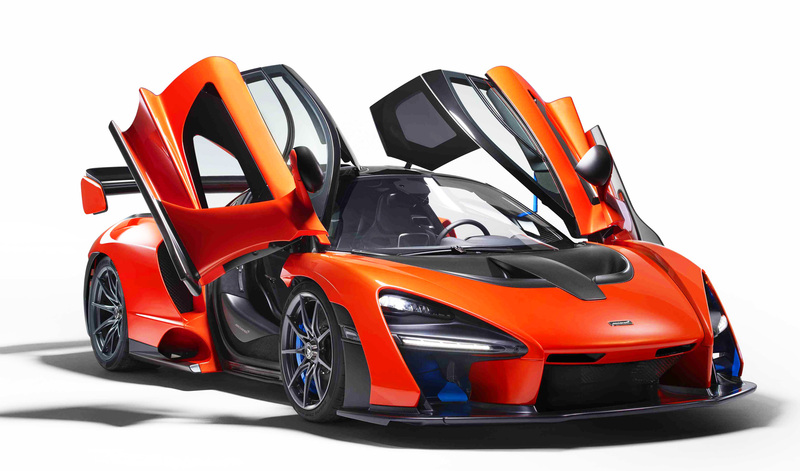 It’s a typical McLaren affair with the engine in the middle, paired to a 7-speed double-clutch gearbox and the power sent only to the rear wheels for pure performance, a fitting member then, to join the Ultimate Series lineup. 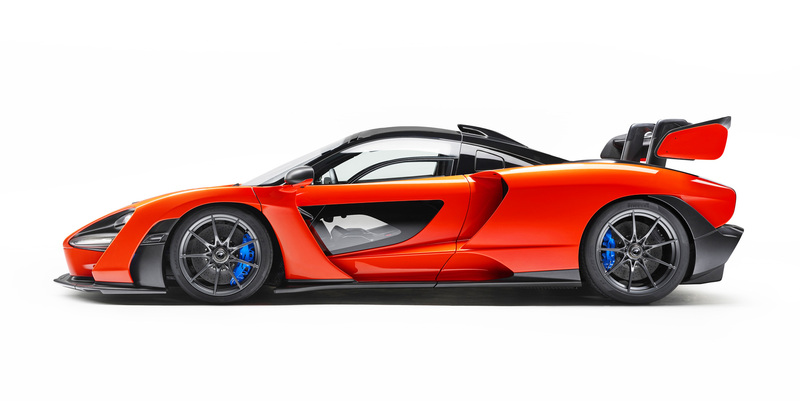 Figures such as 0-100kph times and top speed have not yet been announced, but I’d like to take a moment to clarify that the McLaren Senna is NOT a direct successor to the McLaren P1. No, no, no. That would be the hybrid-powertrain hypercar currently in development with the codename BP23 or ‘Bespoke Project 2, 3-seater’ which is expected to be unveiled next year. 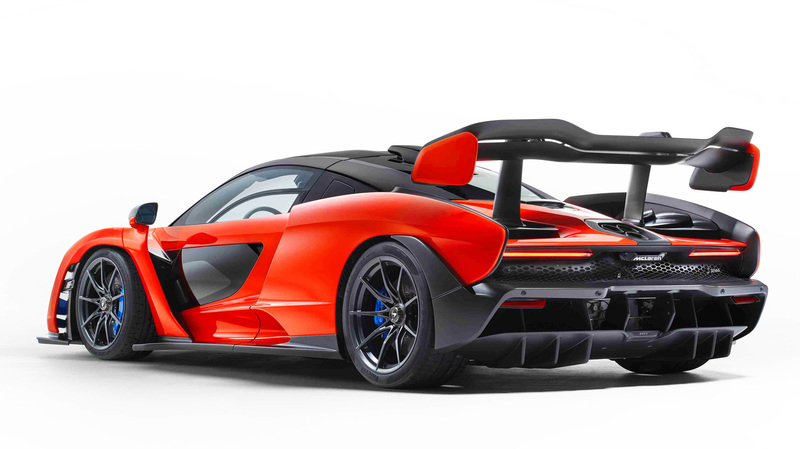 The McLaren Senna then is a bit of a new sub-category in the Ultimate Series, one that sacrifices some of the daily driveability that McLaren supercars are known for, in order to strive for the most extreme performance on a track. Let’s start at the front then, with the massive splitter and airscoops that feature active aerodynamics, ie, the flaps within will open and close to give maximum downforce for whatever bit of the circuit you’re on, straight or corner. Move along the side, and you’ll notice that the wheel arches hollowed out from behind the wheel, sculpted as required to let the air flow from the front down the side and into the giant radiator intakes ahead of the rear wheel arches. 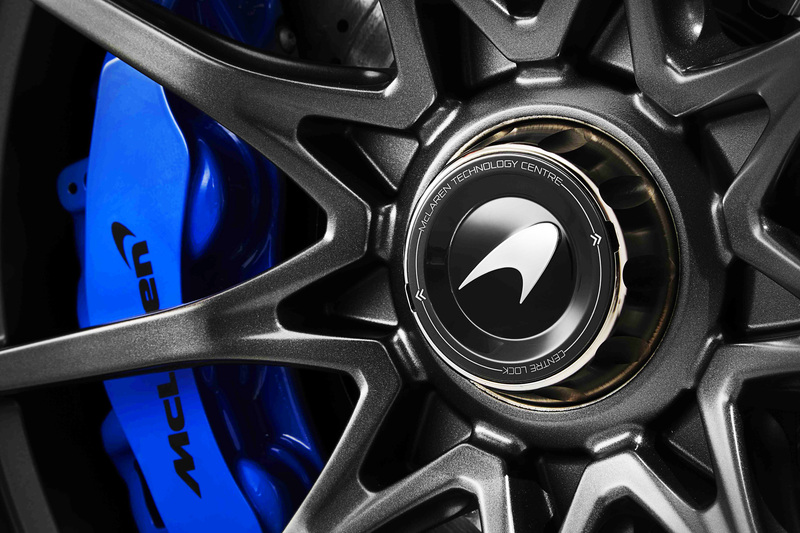 The lightweight 9-spoke wheels themselves are newly developed, McLaren using a centre-locking mechanism for the first time, wearing specially developed Pirelli P Zero Trofeo Rs as a no-cost option. 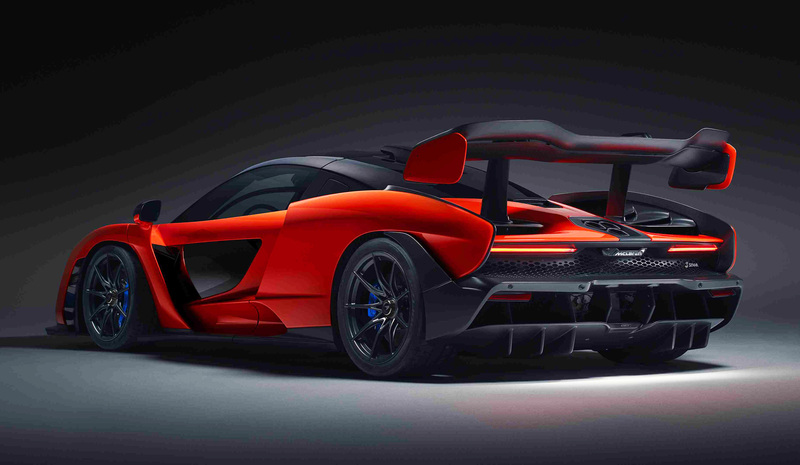 The carbon-ceramic brakes have also been newly developed for the Senna to operate at cooler temperatures and to shed speed and heat more efficiently. 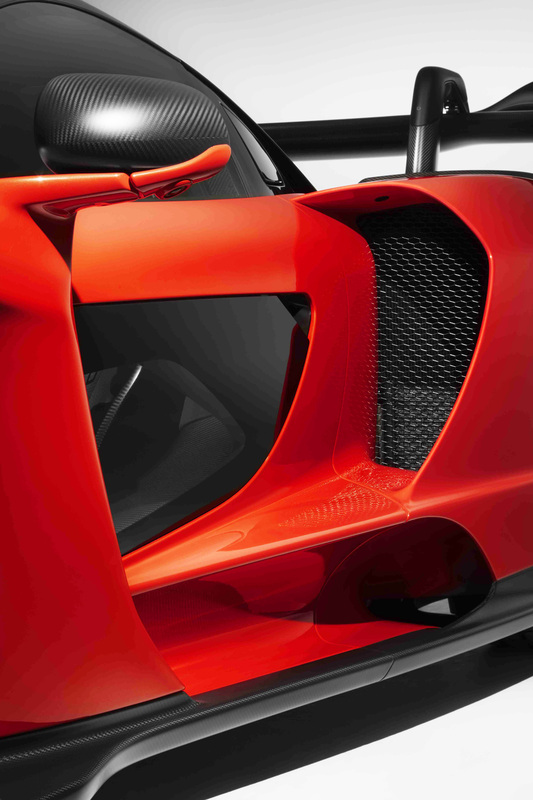 The door comes with an option of a glass panel instead of carbon, which allows the driver to see the road rushing by, or as would be more likely, to see the apex on every corner as you make your way around a track. Moving further back, right before we reach the rear with the giant wing, are the carbon-fibre gurney flaps on top of the rear wheel arches that direct the airflow up and over the massive vents the elongated rear deck. That particular element of design is reminiscent of old LMP1 racecars for the purpose of minimising drag. The massive rear wing also features active aerodynamics, raising or lowering itself as needed for downforce and can even be angled flat. 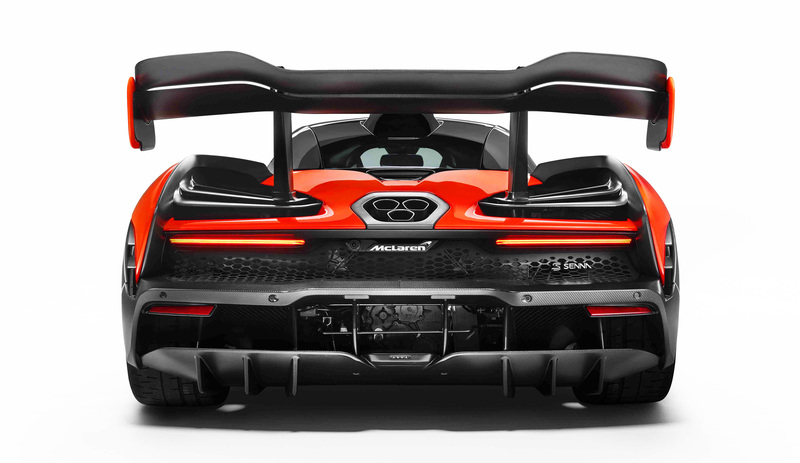 But the clever bit is that the dual-layered wing is mounted on goose-neck hinges to keep the entire underside of it clean and make it more efficient. Below it are the massive vents to dissipate heat from the engine, the lovely triple exhaust (also angled and positioned specifically for directing the airflow in the right direction) and below them all is a magnificent double-decker diffuser. 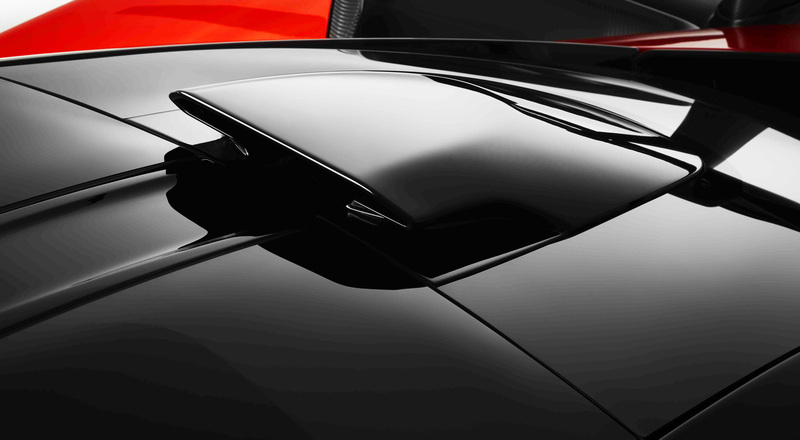 Of course, don’t forget the roof scoop sucking in air to the engine behind the hinges of the doors that open like that of the 720S. 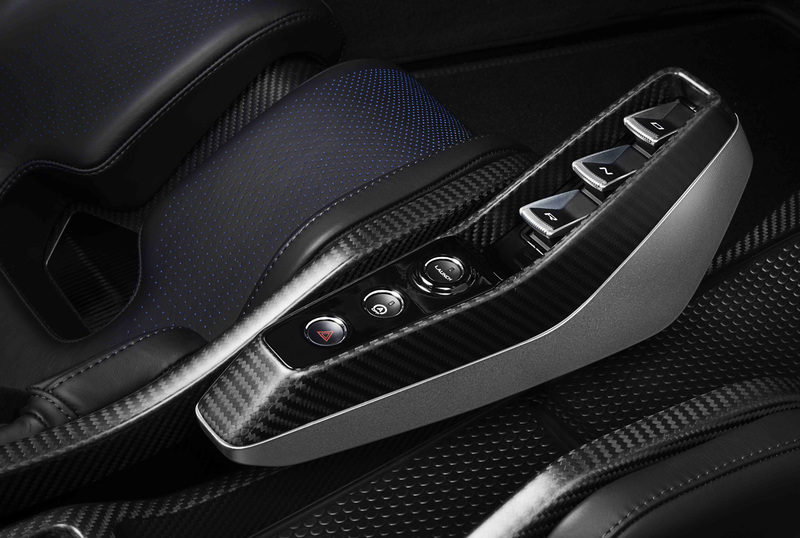 There is plenty more track-focussed design on the inside of the McLaren Senna with some interesting quirks to make the extreme experience even more special. It is expectedly minimalistic in approach and the layout is very clean with minimal distractions for the driver. The passenger seat is fixed in place while the driver’s seat can be moved back and forth with the steering and pedals locked in their respective positions. The seats are specially developed with basically sculpted carbon fibre buckets with added padding to protect your vulnerables. 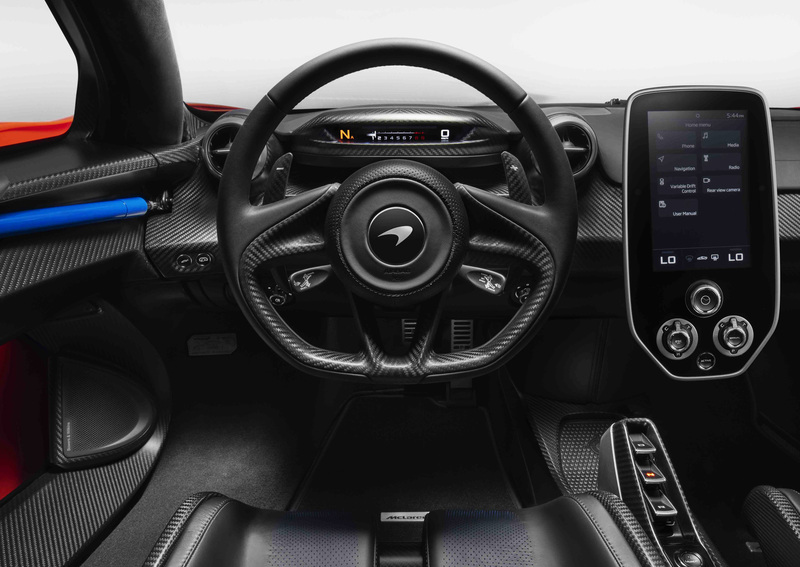 What does move along with the driver seat is the centre console which has the gear selector and launch control, and the centre mounted infotainment screen with the Active Dynamics Panel is angled towards the driver as well. The really cool quirks start when you look up inside the cabin to find the engine start button positioned on the roof like in some sort of aircraft. How cool is that?! Other controls mounted on the roof are the door controls, AC controls, and most importantly the ‘Race’ button to put the car into maximum attack mode. 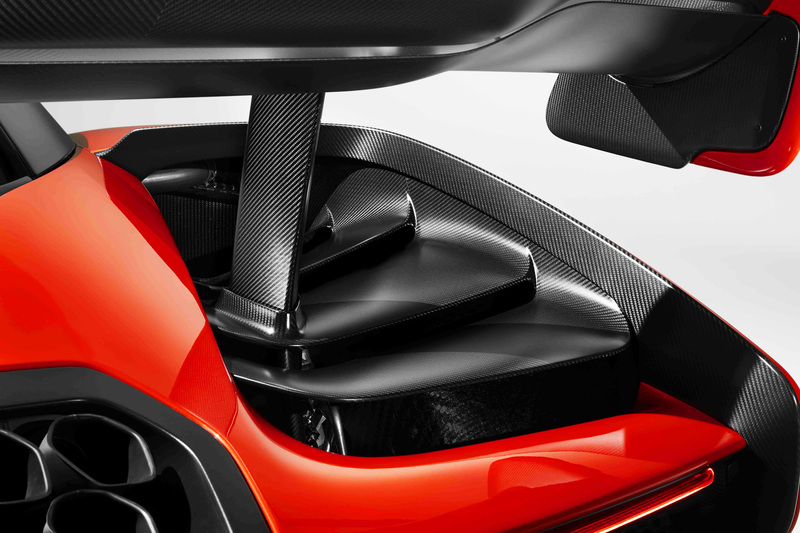 The driver’s display is the same clever folding unit first seen from McLaren in the 720S with the digital cluster. 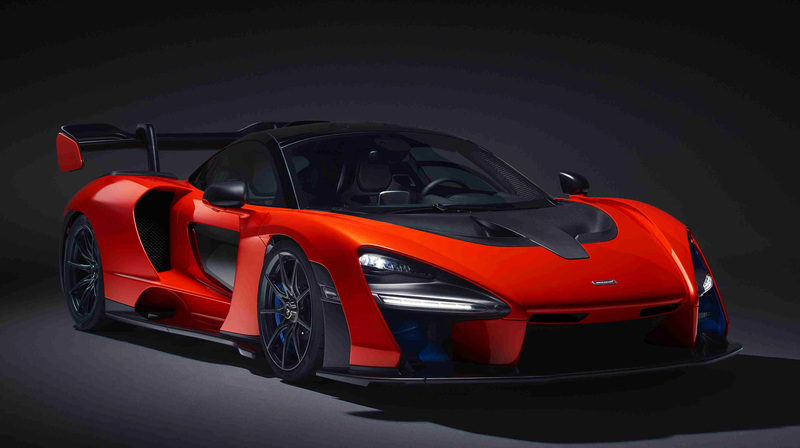 McLaren are making only 500 units of the Senna, all of them already sold/allocated at a price of £750,000 including taxes (UK). 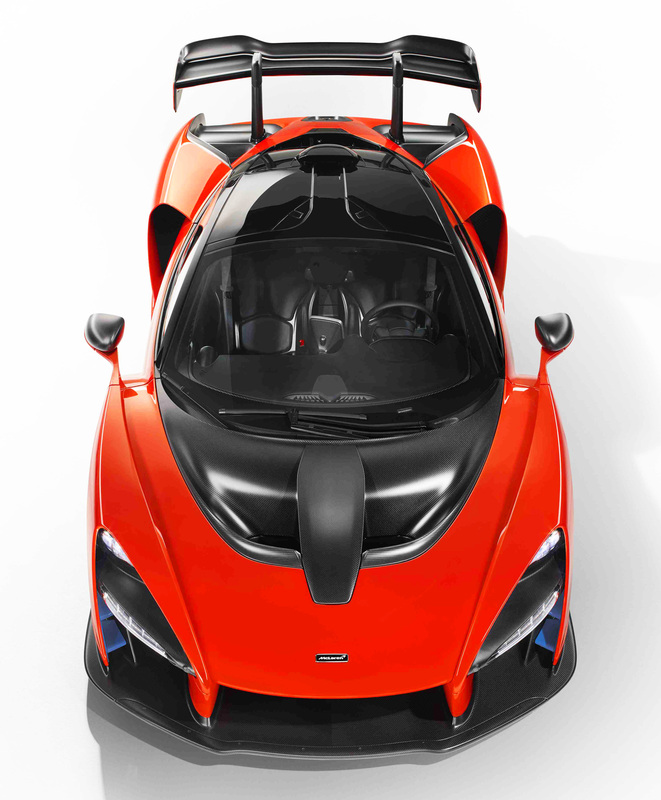 All the units will be hand-assembled at the McLaren Production Centre in Woking, England. 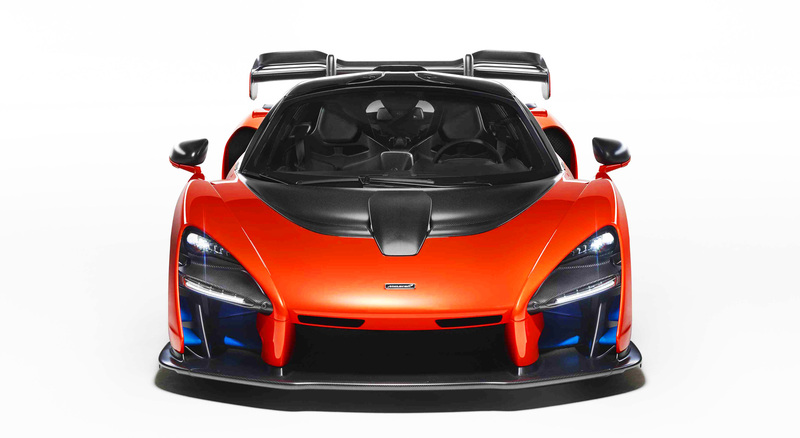 Take a closer look at the McLaren Senna in the gallery below and share your thoughts in the comments below. I’m not a big car person, specifically with the numbers. But I appreciate good design in all forms. This was an easy read for me 🙂 good stuff! TVS Apache RR 310: Production-spec Akula finally arrives!